I've owned Me Before You for such a long time now, not since the release date but it was last year when I decided to pick it up. Everyone seemed to rave about this beautiful love story, and I'm a sucker for any love story and knew this would be straight up my street. Despite the vast amount of books I've collected over the last year or so, I've really not committed myself to any reading - minus my driving theory book. I'm bad I know!! But enough of that. I've mentioned that on many occasions, my book collection that's piling high, unread, unloved, and I need to find some reading motivation. So without further ado, I haven't read the book or it's sequel, but I did find time to go on a date with my other half and watch this at the cinema. I'm sure the majority of you have found time to read the book and know exactly where this story goes and ends, but I don't want to give too much away for those who haven't had the chance to read or even watch the movie, so I'm going to keep this very minimal. 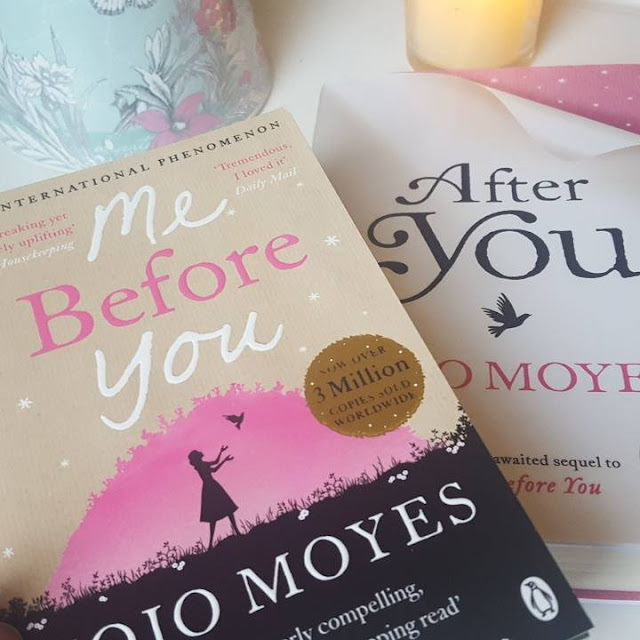 Me Before You is about a young woman, who up until recently was working in a small cafe and supporting her family with her income. Having recently lost her job, she's on the hunt for something, anything, and a visit to the job centre lands her in the home of a man who is unfortunately parallelised after an accident. He's very much given up on life after the accident and is very down and out and feeling he's not really got much to live for. Louisa is very optimistic and chirpy about Will's condition and although he's a difficult and rather lost soul, she's hoping her positive energy will rub off on him and he'll look at life in a more positive light. Without saying much more, Me Before You is a beautiful love story and was well told via the film. It's sad and yet light hearted and funny in places. It will definitely leave you with a mix of emotions. I really enjoyed the film and already want to watch it again. I highly recommend that you go and see this if you haven't already.